A "major incident" has been declared in the southern English town of Amesbury after two people may have been exposed to what authorities describe as an "unknown substance." 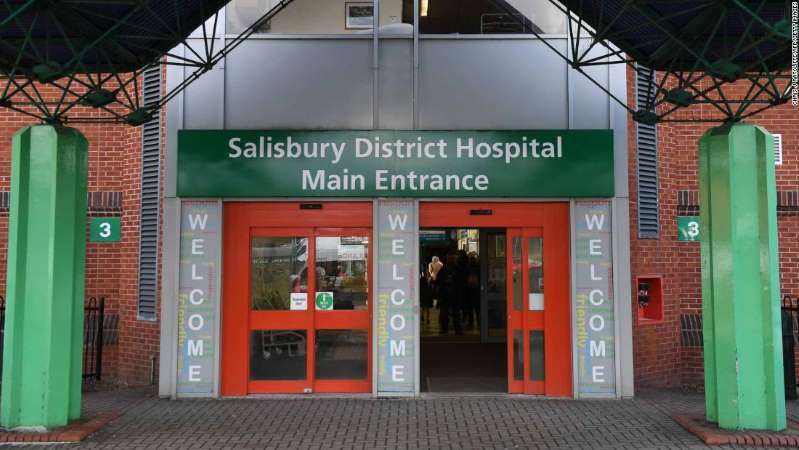 The incident happened just a few miles away from Salisbury, where British police say Sergei Skripal, a Russian double agent living in the United Kingdom, and his daughter were poisoned with a military-grade nerve agent in March. It is not clear exactly what the duo in Amesbury, a man and a woman each in their 40s, may have been exposed to. The two were found unconscious in a property Saturday and are currently in critical condition, according to police in Wiltshire, the county in which Amesbury is located. They were initially believed to have fallen ill after using crack cocaine or heroin, but are now "receiving treatment for suspected exposure to an unknown substance," Wiltshire Police said in a statement. "Further testing is now ongoing to establish the substance which led to these patients becoming ill and we are keeping an open mind as to the circumstances surrounding this incident," it added. A number of areas, believed to be where the individuals frequented before they fell ill, will be cordoned off as a precautionary measure, police said. A Public Health England (PHE) spokesman said: "The current advice from PHE England, based upon the number of casualties affected, is that it is not believed that there is a significant health risk to the wider public. This will be continually assessed as further information becomes known". The March incident in Salisbury sparked a diplomatic row between the UK and Russia after British investigators blamed Moscow for the attack. Both Sergei Skripal and his daughter Yulia have since been discharged from hospital.